A new section entitled XTRA has now been added to the site in which it is hoped to provide news and information on current activities with regard to the 'real' vehicles and any other interesting information. 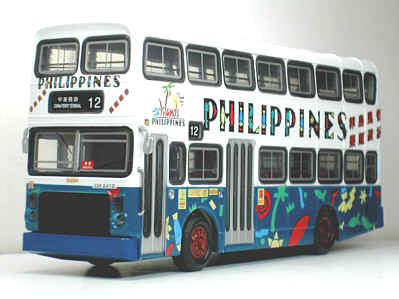 Due for release in April is this Collector's Model Dennis Jubilant in Philippines livery (V2003). 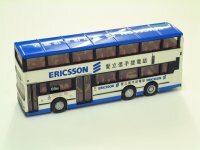 It is on route 5C to Tsim Sha Tsui Ferry and is limited to 300 pieces. which will be launched this weekend. 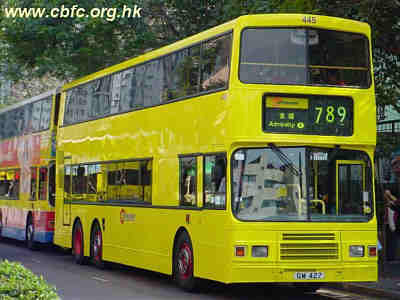 Released in Hong Kong yesterday was the Best Choose CMB Metal Sections bodied Daimler Fleetline, Fleet No. LF9 with 'Jump on a Jumbo' lettering (03013). 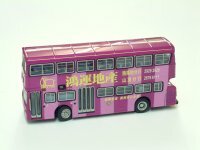 The Citybus 'Year of the Ram' liveried Dragon is expected to be released during April. This will be an MBE model, and further details will be published when known. The three 1/76th scale Collector's Model "specials" featured on this News page on the 8th/9th March have been stolen from Allsorts. If anyone is offered any of these models, or has any information about them, please call 01442 271004, quoting crime number C203872. Further photos and information on the Cars Workshop Albion Victor VT23L (38301) have now been uploaded. 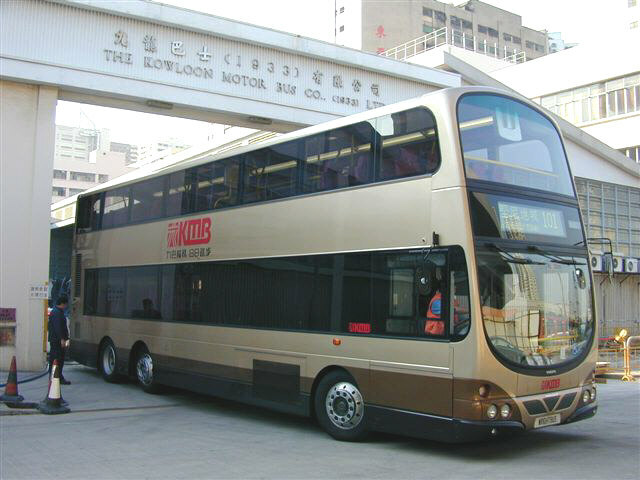 Due for release in Hong Kong tomorrow is a Cars Workshop KMB Albion Victor VT23L, pictured above. 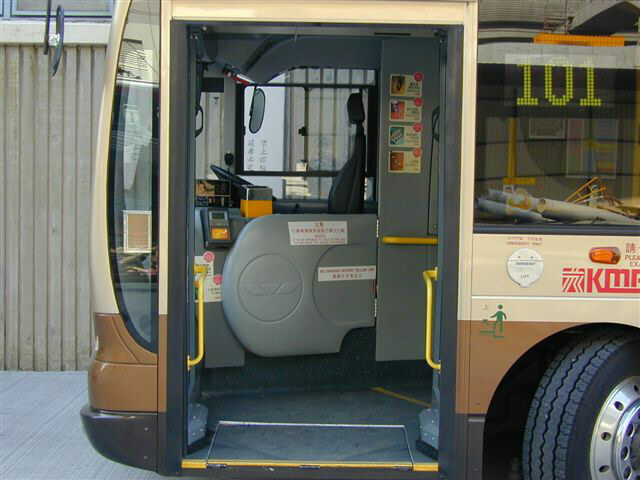 It features AD7087 on route number 16 to Yen Long. It is limited to 3000 pieces and is expected to resale for HK$338. 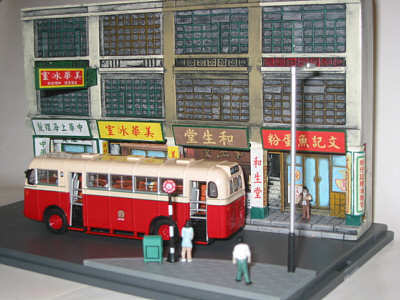 As you will see, a nice diorama is included! 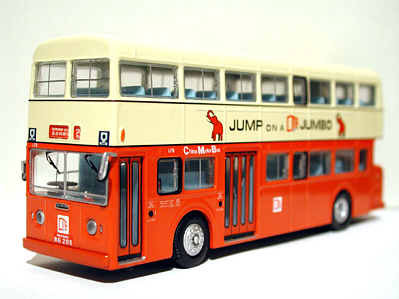 Due for release in Hong Kong soon is this CMB Metal Sections bodied Daimler Fleetline, Fleet No. LF9 (03013). Pictured this morning at Southampton docks in glorious sunshine, having just been unloaded from the 'Tagus', DM17 awaits final Customs clearance. Check out the DM17 website. Whilst on the subject of real buses, photographs of KMB's new Wrights Gemini have just been received. Further information on this bus can be found at the KMB website by following this link (link no longer available). 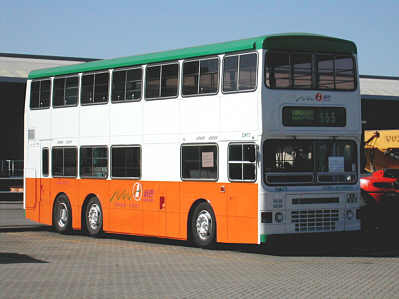 According to the March 2003 issue of "KMB Today", KMB are to issue 3,000 models featuring a Metsec bodied Daimler Fleetline serving on route 1 in its 1970s cream and red livery. 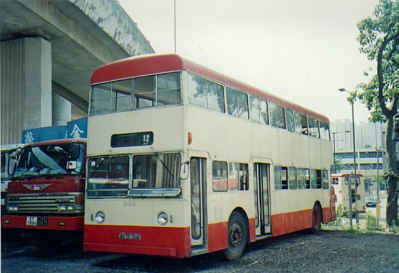 A photo showing KMB's D868 in its withdrawn condition is shown below. 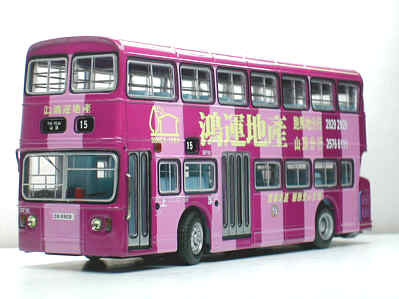 Tonight I have uploaded a new page for the pre-production C'sM Leyland Victory Mk 2 in New World First Bus livery. Again, follow this link. 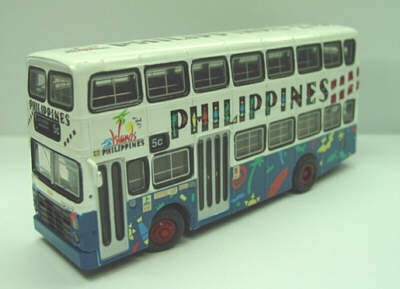 I am reliably informed that Collector's Model are to release a Leyland Victory/Dennis Jubilant in Philippines all-over livery. 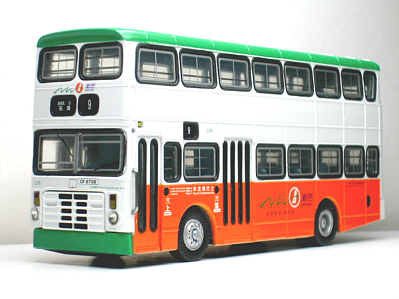 This model will carry a different livery than that carried by V107A, as well as a different route number and destination. Further details will appear when known. Tonight I have uploaded a new page for the pre-production C'sM Leyland Short Fleetline with Fortune Realty all-over advertising. Just follow the link! Tomorrow will see further details of the New World First Bus pre-production sample Victory. 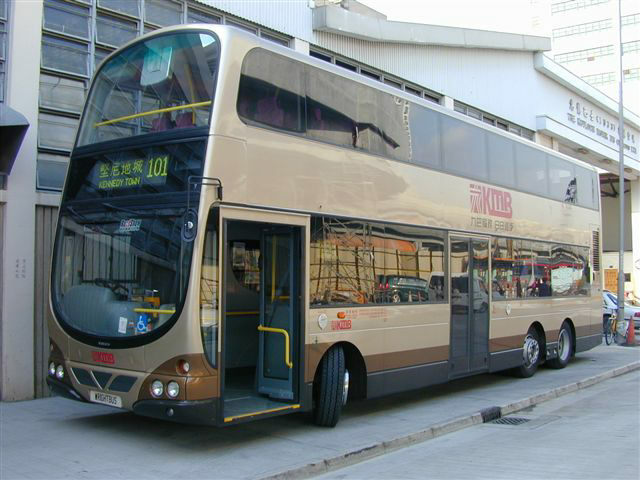 I am advised that British Bus Publishing now have stocks of the book 'Evolution of Hong Kong Buses - Kowloon & New Territories'. Cost is £19.80 including postage and packing within the UK. If you do contact them, please mention this site. 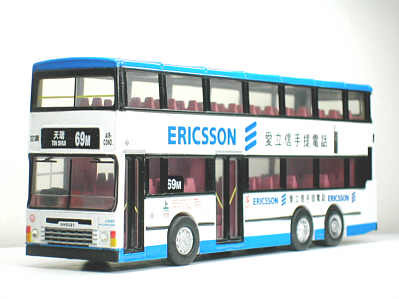 Further to yesterdays News item regarding the C'sM models Allsorts are currently inviting offers for, please note that the Ericsson Dragon is a 1/87th scale plastic model. The others are all 1/76th scale diecast. 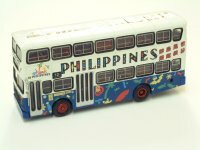 Pictured above is the Philippines liveried KMB Dennis Jubilant (V107A), and further photographs and details can be found by following the link. The above photographs are just a taster - more will appear tomorrow! And yet another quiet week! There is only one model of each, and each comes with supporting certifcate/written evidence from Collector's Model as to the model's authenticity. Offers are being invited. I hope to provide further details of these models shortly. 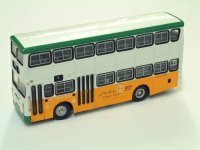 My thanks to Dave Moor who confirms that the three corgi KMB models, Leyland Victory in final non air-con livery (OM44801), MCW Metrobus in final non air-con livery (OM45108 ) and MAN/Berkhof in champagne livery (OM45201) are now on sale in the UK - he purchased all 3 at Amersham swapmeet last night! 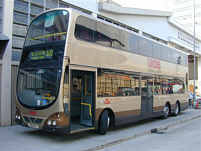 Citybus Volvo Olympian No. 445 carries what is believed to be a new experimental livery.